Sitka Art Circles are a way to come together in a casual atmosphere and have a bit of artistic fun. Everyone is welcome! 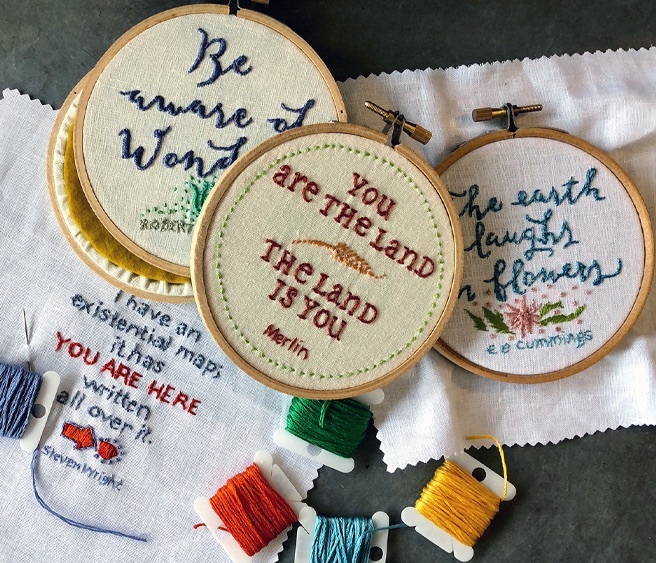 Learn basic stitches and then use these newfound skills by creating a small in-the-hoop embroidered sampler on linen featuring \"wise words\". Students will leave with a finished piece, backed with wool felt and ready to display. while they sit and stitch.